The process of incubating eggs carries with it a lot of responsibilities that you have to fulfill in order to have a successful hatch. 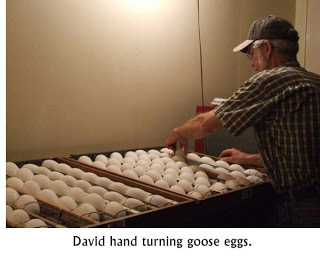 One of the things that a farmer will need to do on a daily basis during the incubation process is to keep turning the eggs. That is, unless you have an incubator that is fitted with an automatic egg turner – the ultimate in convenience! But what exactly is egg turning important irrespective of whether it is done manually or automatically? The answers to this question will set the ball rolling as we look at how to do it. Let’s take a quick look at the importance of this process. First of all, you need to turn these eggs because when they are under the custody of a hen, she does the turning every eighteen to thirty minutes and in the incubator case, there is no hen hence you are the “acting hen”. When embryos are beginning to develop, they start their life on the upper side of the yolk. The yolk is the food that the embryos feed on at this stage and when it is turned, it floats upwards so that the embryos can continue drawing the necessary nutrients they need from the yolk. When this turning is not done or done on time, the embryos will lack all the necessary nutritional supplies that they need. This lack of nutrients can lead to feeble and malnourished chicks and if taken too far, it can lead to the death of the embryos. Now with a clear understanding of why this process needs to be undertaken, it is now time that we look at how best you can turn your eggs. Below are guidelines on what you need to do and what you need to avoid as you turn the eggs. For optimal results, turn the eggs a minimum of 2 -5 times per day. According to authorities in this field, the more times you turn the eggs, the better the results. You are supposed to stop turning the eggs 3 days before they hatch. This means that you need to keep a proper calendar so that you can know exactly when these days set in. The reason behind this is that during the last 3 days, the embryos will be moving towards their hatching position. 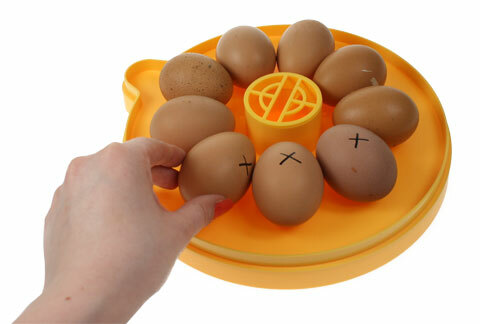 For easier turning, you need to mark the eggs with an “X” on one side and an “O” on the other .This will help you know which of the eggs have been turned or not. Remember to close the incubator properly after turning the eggs so that you don’t interfere with temperatures on the incubator. So far you have gained access to all the necessary information you need to perform successful egg turning. This is because of you turn the eggs successfully in line with every fact shared in this article, you will end up with a greater hatching success. Additionally, you will get healthy and bigger chicks that will populate your poultry farm. Hatching your own eggs of any kind is a really fun and rewarding experience. No matter if you are incubating ducks, geese, chickens, or anything else, you can take comfort and pride in the fact that you have successfully brought another few creatures into this world. Getting these eggs to hatch isn’t as easy as it sounds and there are a key factors and steps to follow if you want as many eggs as possible to hatch. On a side note, hatching eggs comes with about a 50 – 60 percent hatch rate; sometimes a little more or less. It’s going to take you roughly 3 weeks of hard work and dedication to get your eggs to hatch, and that’s of course with the use of an incubator. If you want your eggs to hatch you have to turn them on a consistent basis. 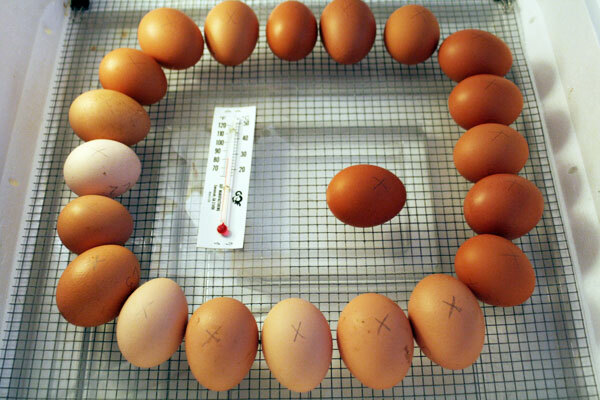 Keep reading our guide on how to rotate your eggs in an incubator. Of course you always have the option of getting yourself a modern, fully automated, and digital egg incubator that is going to do virtually everything for you. 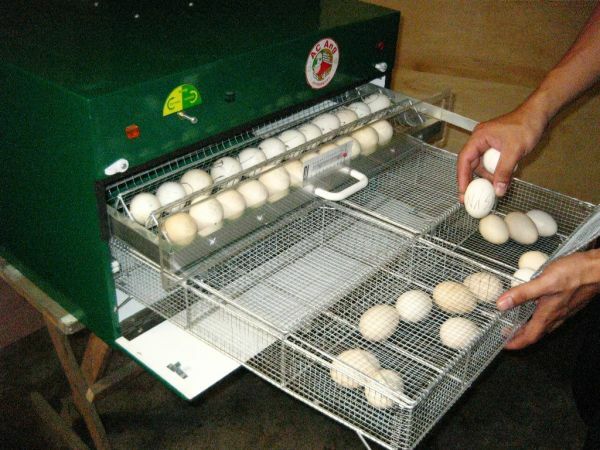 These incubators have programmed settings for various different types of eggs which will then turn them as necessary. Obviously these incubators are pretty expensive so you can always go with one that doesn’t have so many automated features. That being said you will have to do the work yourself. In nature chickens will turn their eggs 3 to 4 times per day, every day, and this doesn’t change until near the end of the 3 week incubation period. Near the end of the incubation period, during the last 2 days, just before the eggs are ready to hatch, they won’t require turning anymore. Try to turn the eggs on a constant basis with even time periods in between turns. Something like 6 am, 12 pm, 6 pm, and 12 am is a good schedule to keep for turning your eggs. There are 2 different methods that you can use to turn your eggs, but before you get to that you should take a marker or some tape and mark one end of the egg with an X and the other with an O. This is so you don’t lose track of which way you last turned it. The first method you can follow is to turn the egg from 45 degrees to 180 degrees according to the schedule discussed above. The other method that you can use is to have some sort of tray or stand to have the eggs standing at a 30 degree angle. Instead of turning the eggs you can then tilt them in the other direction. A good thing to do when turning your eggs is to check them. First of all check them for any damage. If your eggs have any cracks and have begun to leak fluid they will no longer hatch because of germs and other factors. Even if the cracked egg does manage to hatch, chances are that the chick will not be healthy. Another thing that you can do while turning the eggs is to candle them using a candle or flashlight and a toilet paper role. 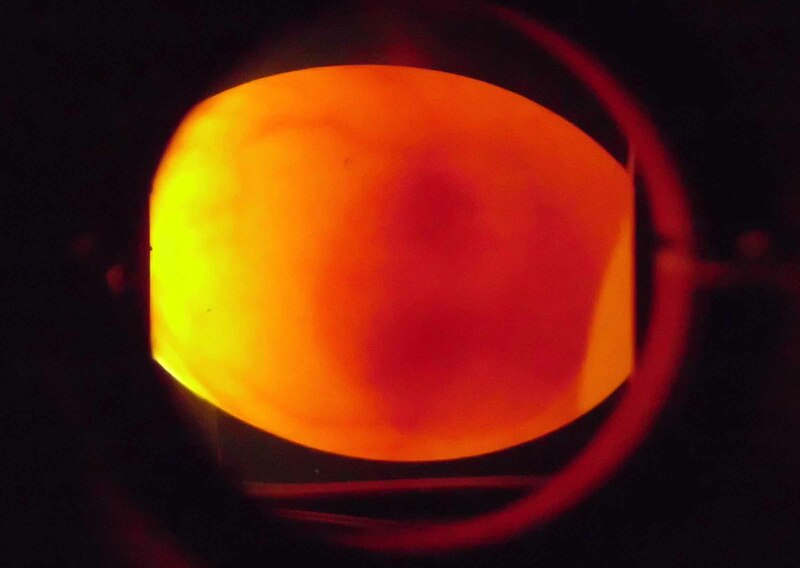 This is so you can shine light through the egg to see if the embryo is developing properly. The reason that you need to turn your eggs is because that is what hens do naturally. This is to ensure that there is even heat distribution and so that the embryo doesn’t develop while laying on only one side. If you don’t turn the eggs the embryos will most likely develop complications that may render them damaged or make it so that they will not hatch.